A few days ago I shared a photo on our Instagram that made me realise I never shared our 2nd year anniversary pictures with you! Add onto that an email from Sarah asking for idea for her husband's first anniversary present and I thought I should tell you about our special Anniversary Tradition. Our Anniversary Tradition was actually an idea we decided on before we were even married! You see, Jesse and I aren't really gift people. We love giving them but when it comes to receiving them, we'd much rather someone spent their money on themselves rather than us. 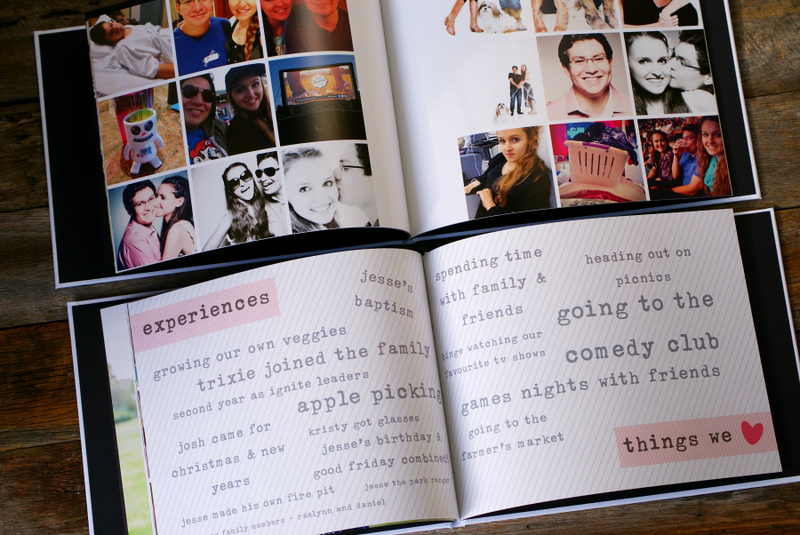 Instead of giving each other anniversary gifts each year, we decided we wanted to make memories instead. When I booked Lucie as our wedding photographer I told her that I really wanted our engagement photos and wedding photos to be taken in Centennial Park. Why? Not only because it's absolutely gorgeous - but because I already had our anniversary tradition in mind. So what is our Wedding Anniversary Tradition? Each year on our anniversary, we head back to the same spots where our wedding and engagement photos were taken. We keep the same location and the same photographer, but each year the shoot is a little different. The idea was this; as I'm always the one behind the lens, we wanted to make sure we had photos taken at least once a year to see how we grow and change. We want to be able to see ourselves grow - but we also want to be able to show how our family grows too! Over the years, the photos will hopefully look different. We'll grow older (hopefully gracefully), our fashion sense may change and hopefully we add some little SIL's to the mix too. We also made a DIY chalkboard to feature each year (see this post on How to Make a DIY Chalkboard from a Photo Frame). But what do we do with the photos? 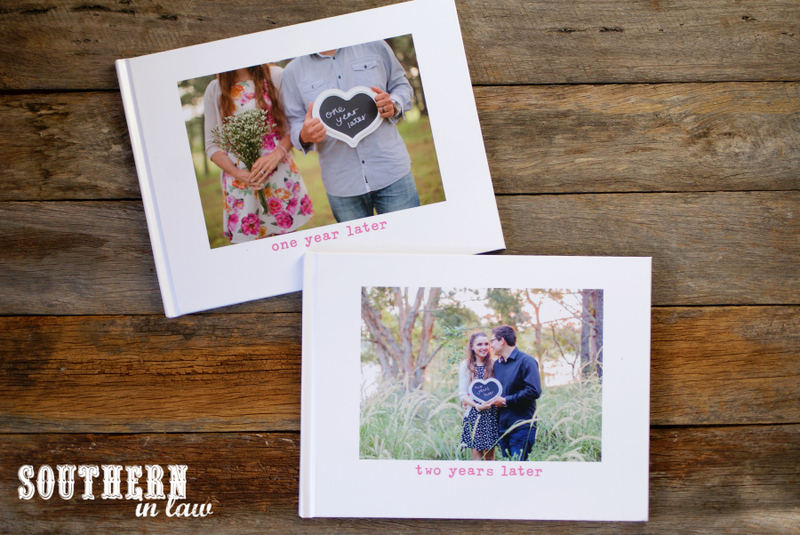 As well as filling our home with prints and canvases of them, we put them into books! 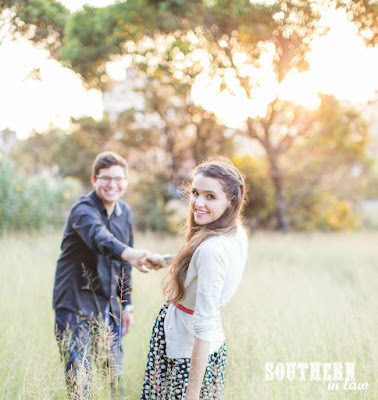 Each year, after we get the photos back from our Anniversary Shoot, I work on putting them together into a photo book! 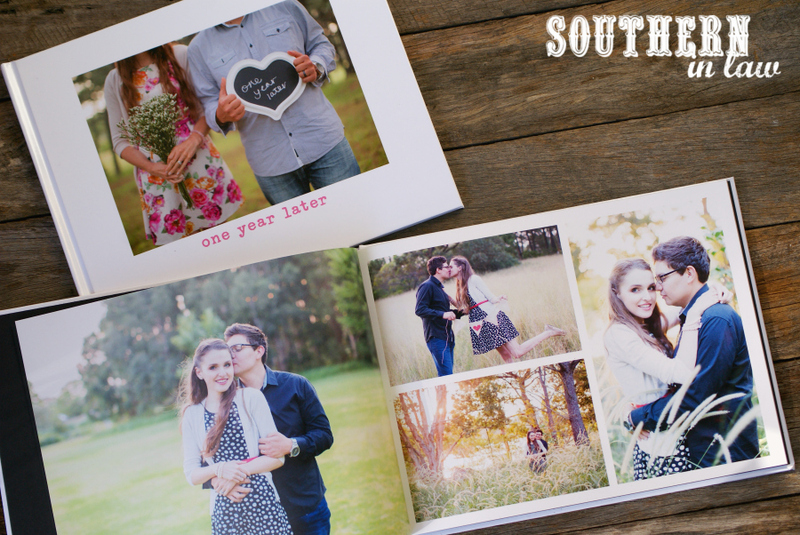 As a photographer, photos are incredibly important to me so we have photo books for all of our vacations, our engagement, our wedding photos and just about everything in-between. These photo books are basically a big diary of the year that was and they're filled with photos and memories from that year - as well as our anniversary photos from that year. And because I believe every moment is a memory, we fill these books up with them all - the good and the bad. From what TV shows we binge watched and what movies we saw at the cinema to the experiences we had, what holidays we went on, things we loved and random photos from the year - and even the not-so-good memories.... can you spot a very dazed Kristy mid-iron infusion and a zonked out Jesse in hospital with a suspected case of Bali belly? I have a template saved for the books that has spots for our anniversary photos from that year, optional holiday picture slots (if we happened to go on vacation in that year - in our second year we didn't as we apparently are loading our third year of marriage with travel instead :P), spaces for instagram style photos so we can share snapshots of the year and templates for the TV shows we binge watched, the movies we saw at the cinema, things we loved, experiences we had and memories we want to remember. 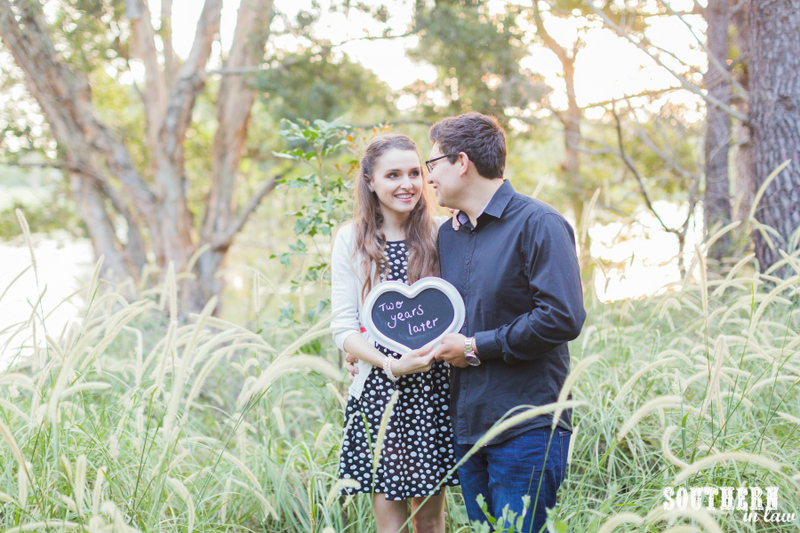 For us, photos are incredibly important as they're the perfect way to capture memories. For you, it may be traveling or getting together over a meal or simply connecting as a family. As well as our photo tradition, I also bought a gorgeous leather bound notebook when Jesse and I were first married and each year on our anniversary I write him a letter and I hope to do the same thing for our kids in the future on their birthdays. Quality is way more important than quantity when it comes to traditions - otherwise they'll simply be something you do once and never again! If you fail to plan, you plan to fail. 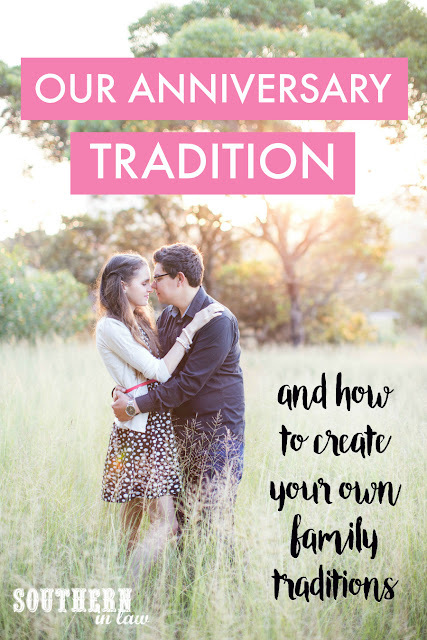 A tradition isn't going to work if you never have what you need! What you need is going to vary, depending on what your tradition is! For us, we need to organise a photoshoot with a photographer (and for us, it's the same photographer every year as we love Lucie Zeka Photography) and then we need to compile all of those photos into our photo book. We keep a note of our memories from the year and then pull all the photos together from our phones and computers. 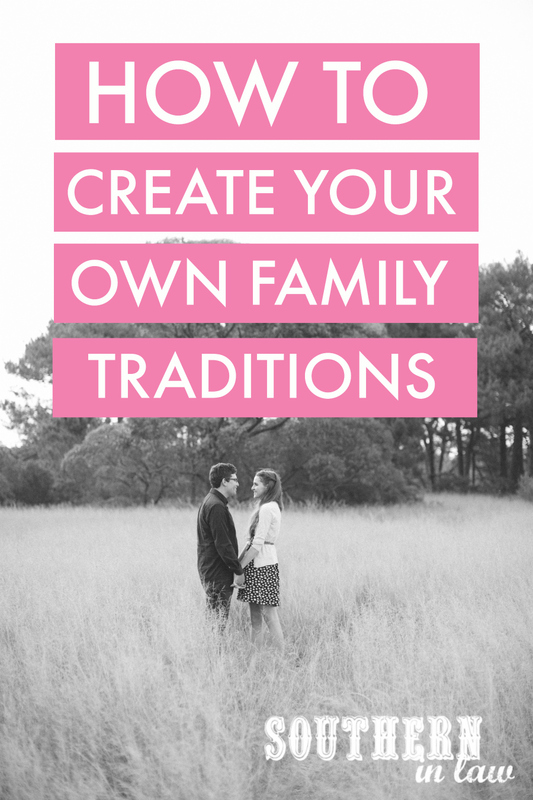 There's no use in having a tradition unless you follow it! Forget about expectations and having things be perfect - have fun with it and be flexible if you tradition adapts and changes over the years! But tell me, do you have any family or personal traditions? We have quite a few now - like going to the movies in gold class on our birthdays, Christmas pj's and a silly Christmas costume each year and having Taco Tuesday every week!